This guest post was written by Chad Goulde of The Blog Builders. Visit blogbuilders.com today to learn even more great paths to successful blogging. Before you even think about starting your blog, you better already know your niche. If your blog doesn’t have a specific niche, you will never be able to narrow down your target market. There are many different paths you can take when blogging. 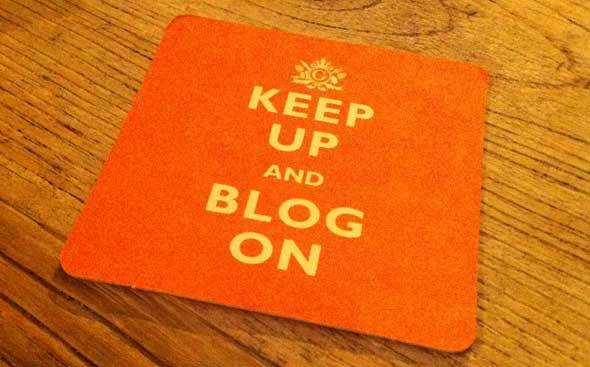 Some will take you to the blog graveyard, while others will lead you to roads of success. Here are seven of those paths to make your journey simpler and successful. Don’t run visitors away with a horrible blog design. When you look at your blog from the eyes of a visitor, what do you see? Does it load slow due to too much crap on the homepage? Does it look like someone cares about it? The first impression your blog will make on readers is the way it looks. Ugly blogs run visitors away. Add multiple visuals to your blog pages and posts. What are visuals? Those cool videos, images, infographics and cartoons you see all over the place. Text-only posts look boring. Therefore, most visitors don’t read them. Make your blog stand out with really cool visuals. Just make sure they’re relevant to your niche. Share, tweet, like, repost… because those social networks matter. Are you one of those bloggers who thinks social networking is beneath you? Or, are you just too stubborn to learn how to maneuver around Facebook, Twitter, LinkedIn, etc… I don’t know about you, but I love free things. And, social networks give you a way to market your blog for absolutely free, as users share, tweet, like and repost. Build your brand and create backlinks with guest posting. When you visit a blog in your niche, check to see if they have a post welcoming guest posters. If so, go for it! Write informative, interesting posts of the same quality you would post on your own blog. Each new backlink will help to increase your search engine rankings. You’ll also be building your brand by expanding your audience. Build your own links back to your blog and content. Don’t sit around waiting on others to link to your blog. And, by all means, never buy backlinks. Google will find out and punish your harshly. Build your own backlinks by commenting on relevant popular blogs and forums. You can also create backlinks with guest posts or posting on article sites like Ezines. Start blogging already. One of the biggest reasons why bloggers fail is because they simply don’t blog. Yes, it does take time and effort to create a successful blog. But, you don’t have to be a professional blogger in the beginning of your launch. If you just start blogging, you’ll find it becoming easier and easier in time.